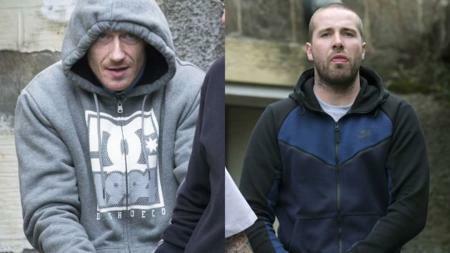 Two men have been convicted for their parts in a £500,000 armed robbery at the Gleneagles Hotel in Perthshire. 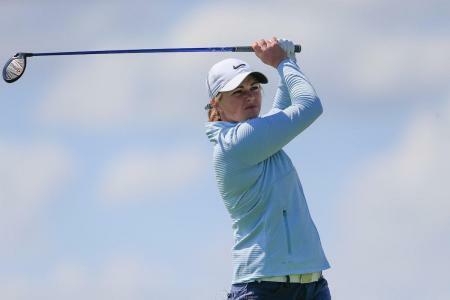 The semi-final line-ups in the inaugural Men’s and Women’s European Golf Team Championships have been confirmed, as the battle to be crowned golf’s first European Champions at Gleneagles gathers momentum. Gleneagles is the newly-crowned 'No.1 Golf Resort in Britain & Ireland', an important accolade that brings the curtain down on a stellar 2017 that has seen the 850-acre Perthshire estate win a host of golf industry awards. 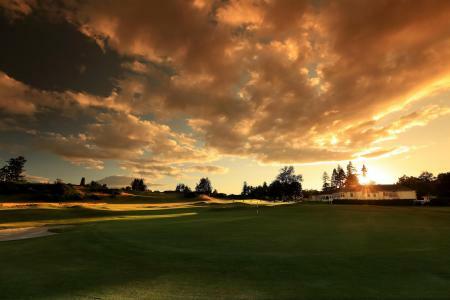 Gleneagles has commissioned world-renowned golf photographer, David Cannon, to capture the beauty and sporting challenge that awaits guests at the 850-acre Perthshire estate, in a new portfolio, revealed today. June 27th. Gleneagles is going about its business, when at 11am, armed robbers burst in, threatened staff and stole £500,000 worth of Rolex watches. 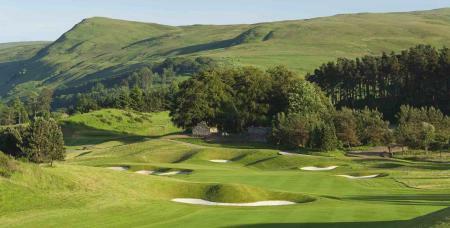 Gleneagles has been voted ‘Best Golf Resort in the World’ for an unprecedented sixth successive year by readers of Ultratravel, the Telegraph’s luxury travel magazine, and visitors to the telegraph.co.uk website. Gleneagles is not on “standby” to host next year’s Ryder Cup, despite claims that some of the American players are anxious about playing in France after recent terrorist incidents. Gleneagles has today been unveiled as an Official Supporter of the Glasgow 2018 European Championships – an exciting new multi–sport event that will see Gleneagles make golfing history as host of the first ever European Golf Team Championships. 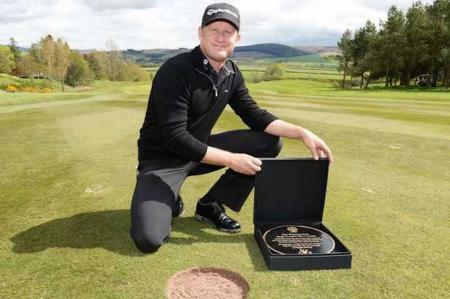 To mark Jamie Donaldson’s 146-yard wedge to within a foot of the flag, the Welshman was invited to unveil a commemorative plaque on the 15th fairway of the PGA Centenary Course. Now it is to be moved. Here's why. 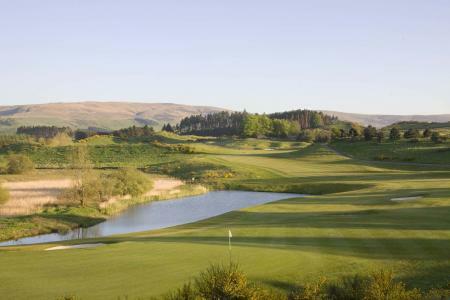 One of Scotland’s most iconic golf courses, The King’s Course at Gleneagles, has been officially reopened after an extensive development programme to restore the course to its original glory. Gleneagles are hosting their first ever Night Golf event this Thursday, where players can enjoy an evening on the PGA National Academy Course. The course will be lit by glowing nightlights and players will play with glow-in-the-dark golf balls. 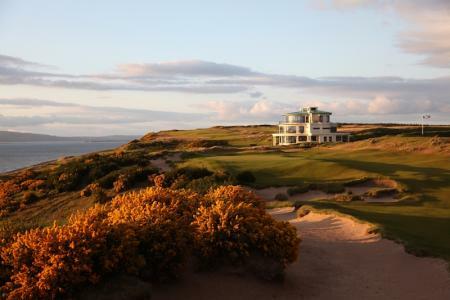 The PGA in Scotland and The Gleneagles Hotel have announced a new Pro-Am tournament for 2016, which is scheduled to take place at the renowned venue in Perthshire, Scotland next summer. 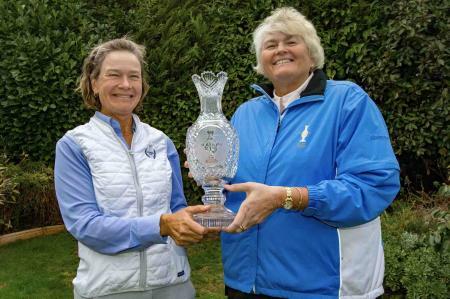 Denmark, England, Netherlands, Norway, Portugal, Scotland, Spain, Sweden, Turkey, Wales... your Solheim-Cup-venue-getting dudes took a hell of a beating!!! 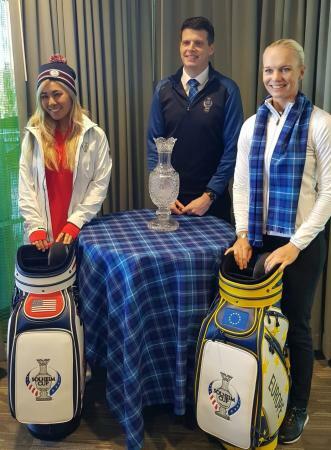 Yes indeed, Scotland wins the Solheim Cup 2019. 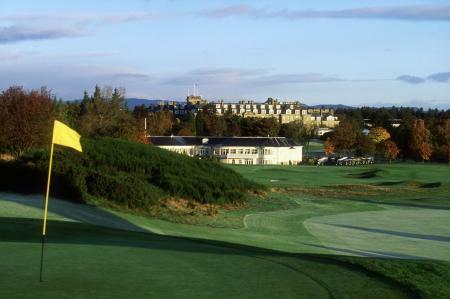 The Gleneagles Hotel, Host Venue of the 2014 Ryder Cup, is marking the one-year anniversary of the event with a week of golfing offers and Ryder Cup themed activities. 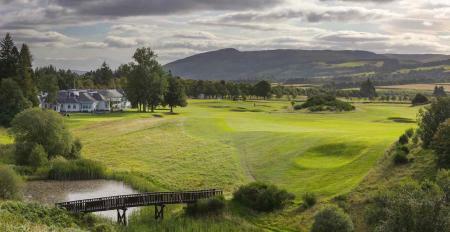 Gleneagles Hotel has launched a new golf break package for those looking to improve their game this summer. Golf can be a serious business when it comes to having a positive effect on the economy. 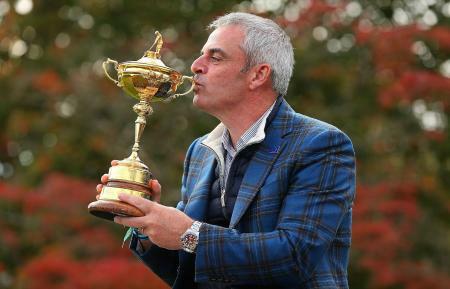 A new report from Sheffield Hallam University’s Sport Industry Research Centre reveals that the 2014 Ryder Cup at Gleneagles made a contribution of £106 million to the Scottish economy, which is pretty amazing for an event that’s in theory only three days long. 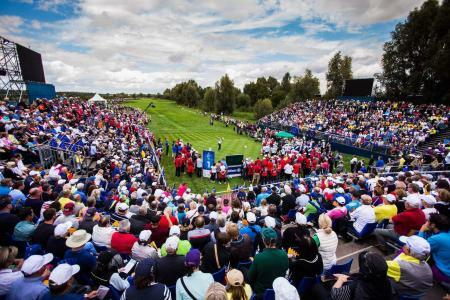 Your Golf Travel (YGT) is an official travel operator for the 16th Solheim Cup matches to be played next September at Gleneagles in Perthshire, Scotland. YGT is leading the way with hundreds of three, five and seven-night packages for the event already sold. 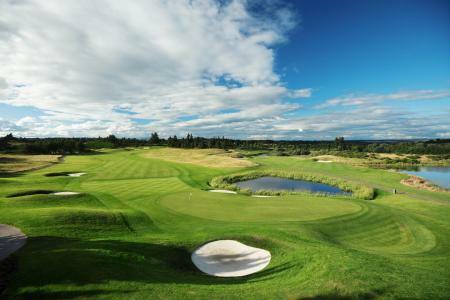 This week’s inaugural European Golf Team Championships at Gleneagles not only represents history with men and women playing together in a unique format for equal prize money – it also sees the return of live UK golf to free-to-air TV. 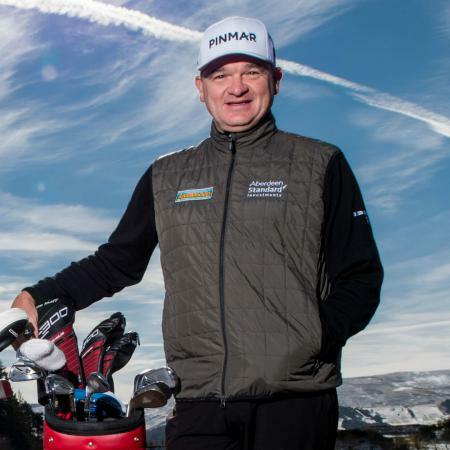 Gleneagles, the iconic Scottish hotel and sporting estate, will kick-off a spectacular summer of competitive golf with a sell-out International Pro-Am event in July, featuring its golf ambassador and former Open Champion, Paul Lawrie. 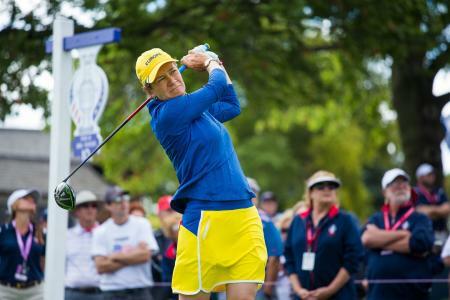 Ticket sales launched today for The 2019 Solheim Cup at Gleneagles, 11th to 15th September. 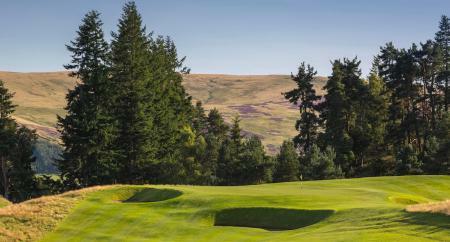 Gleneagles has completed an 18–month renovation programme – including the installation of innovative drainage technology inspired by the heart’s response to atmospheric pressure – to take the iconic Queen’s Course back to its design roots. Work has started again on the gWest International Resort near Gleneagles in Perthshire, six years after the global crash stopped the project in its tracks. When Michael Jordan came out of retirement in 1995 he switched from his iconic No 23 Chicago Bulls shirt to No 45. 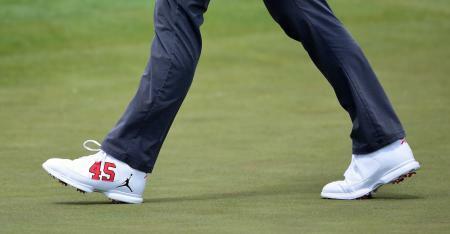 Now Keegan Bradley pays tribute to his hero with his shoes. The Masters kicks off one week today with the famous Masters Par 3 Competition. It's a fun event for the pros, and their caddies get the afternoon off. 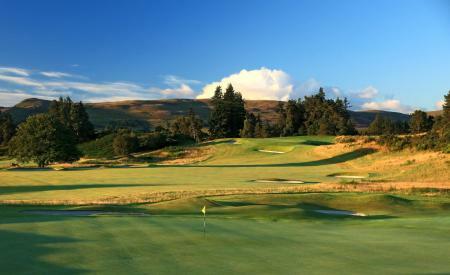 This is what our friends at Gleneagles are doing in honour of this event. Ok we know Tiger opened up a little bit last week. But we’ve never had any of the war stories of what he’s actually got up to in his time. 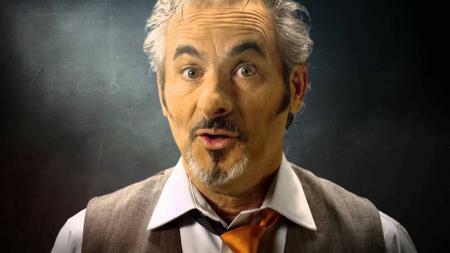 Compare that to David Feherty. The TV commentator was recently interviewed by Rolling Stone and gave a completely honest and open interview. It’s amazing he’s still alive let alone presenting on the telly box.